David Brooks has been described as a “cultural Jew.” But it would be a mistake to think that this New York Times columnist is just another secular journalist. 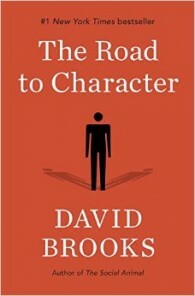 In articles, speeches, interviews and a recent book, Brooks describes his ongoing spiritual journey not as a mid-life crisis but as a profound awareness that he has not become the person he wanted to be—a confession he makes with some sadness. Today the word sin has lost its power and awesome intensity. It’s used most frequently in the context of fattening desserts. Most people in mainstream conversation don’t talk much about individual sin. If they talk about human evil at all, then that evil is most often located in the structures of society—in inequality, oppression, racism, and so on—not in the human breast. We’ve abandoned the concept of sin because we’ve left behind the depraved view of human nature. In the 18th and 19th century many people really did embrace the dark self-estimation expressed in the old Puritan prayer, “Yet I Sin”: “Eternal Father, Thou art good beyond all thought, but I am vile, wretched, miserable, blind. . . .” That’s simply too much darkness for the modern mentality. But sin, like vocation and soul, is one of those words it’s impossible to do without. Sin is a necessary piece of our mental furniture because it reminds us that life is a moral drama. No matter how hard we try to reduce everything to deterministic brain chemistry, no matter how hard we strive to replace sin with nonmoral words, like mistake or error or weakness, the most essential parts of life are matters of individual responsibility and moral choice: whether to be brave or cowardly, honest or deceitful, compassionate or callous, faithful or disloyal. The person struggling against sin understands that each day is filled with moral occasions. In places like Abilene, Kansas, the big sins, left unchallenged, would have had practical and disastrous effects. Sloth could lead to a failure of a farm; gluttony and inebriation to the destruction of a family; lust to the ruination of a young woman; vanity to excessive spending, debt, and bankruptcy. In places like that, people not only had an awareness of different kinds of sin, but of the different remedies for each. Some sins, like anger and lust, are like wild beasts. They have to be fought through habits of restraint. Some sins, like mockery and disrespect, are like stains. They can only be expunged by apology, remorse, restitution, and cleansing. Some sins, like stealing, are like a debt. They can only be rectified by repaying what you owe to society. Some sins, like adultery, bribery, and betrayal, are more like treason than crime; they are affronts to the social order. The social harmony can only be rewoven by slowly recommitting to relationships and rebuilding trust. Some sins, like arrogance and pride, are a perverse desire for status and superiority. They can only be addressed by those willing to humble themselves before others. When modern culture tries to replace sin with ideas like error or insensitivity, or tries to banish words like virtue, character, evil, or vice altogether, that doesn’t make life any less moral. It just means we think and talk about these choices less clearly, and become increasingly blind to the moral stakes of everyday life. The first two quotes above come from “The Moral Bucket List,” a column published by The New York Times on April 11, 2015. The second and longer quote is from The Road to Character, just published in April of this year.